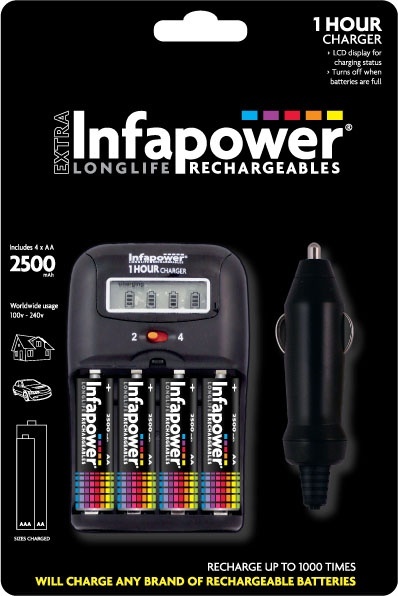 Infapower’s fastest charger. This stylish charger combines speed of charging with an electric blue LCD display indicating charging status. It will automatically switch to trickle charge when batteries are full. Car adaptor allows charging whilst on the move. Features include: intelligent charge control , safety timer, bad cell detection, short circuit protection, reverse polarity protection, thermal cut-off. Will charge any brand of rechargeable batteries.